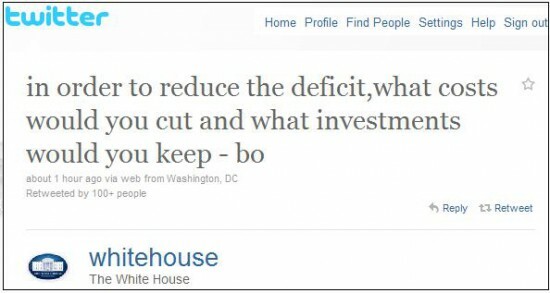 Obama led off his twitter town hall today by asking for suggestions on how to reduce the record deficit. Isn’t the president supposed to lead? 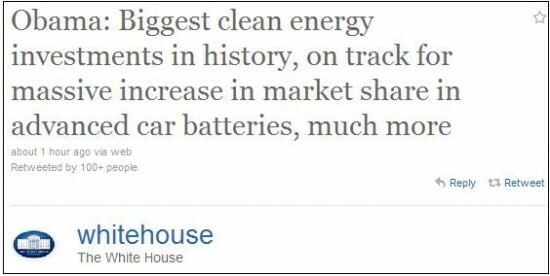 Obama then plugged his failed and expensive green initiatives. With the unemployment rate at a record 9.1% and deficits and debt at record levels Obama bragged about his green initiatives that rely on government handouts to survive. Then Obama lied about Bush tax cuts. 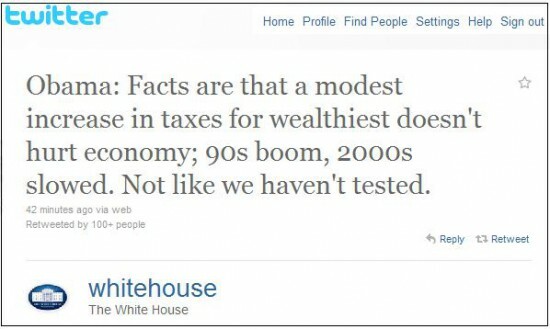 Obama claimed the tax cuts slowed the economy and the tax hikes spurred economic growth. What a dishonest far left loon. But, since when did facts matter to our radical far left president?